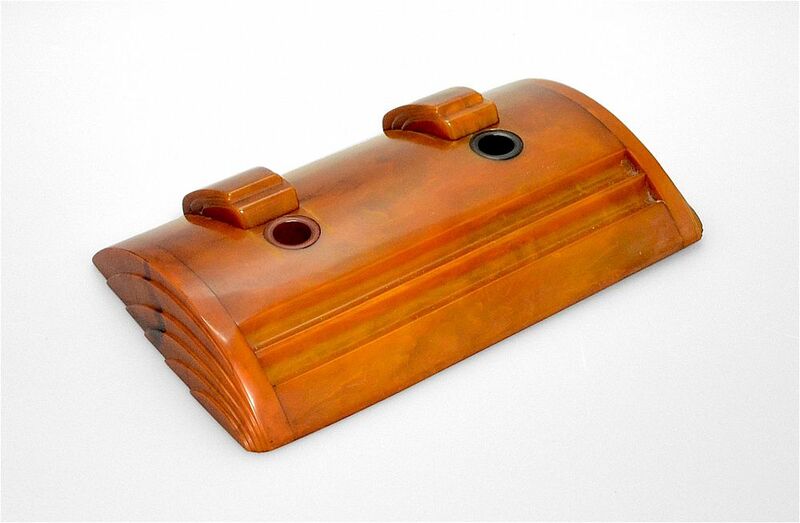 This fabulous double inkwell was made during the Art Deco period by Carvacraft. 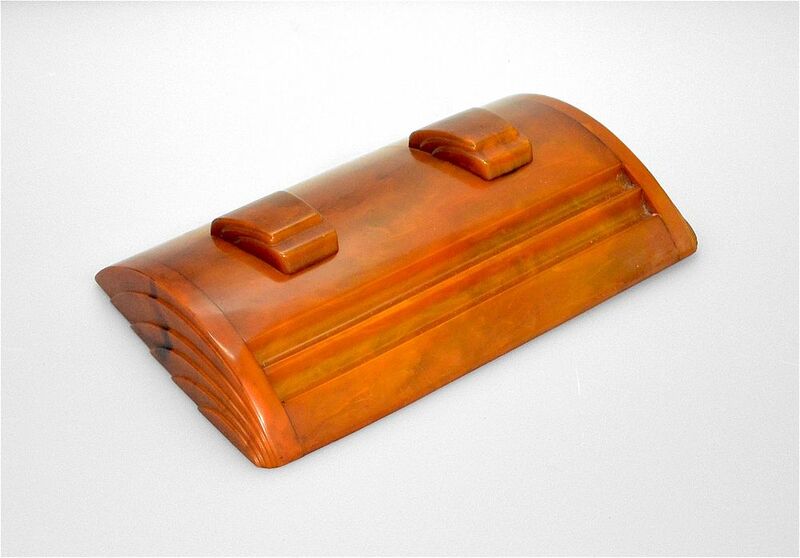 Made of butterscotch bakelite it is domed with ridged sides repeated on the sliding inkwell covers. One inkwell is red and the other black for the different coloured inks and there are two horizontal compartments for pens. Signed.